For all of those seeking the new frontier in performance, you'll find here the right way to install a new SSD in your Rig. First of all, I'll answer the question in everyones mind, is it worth it? Definitely yes, even an average SSD with no tweaks at all will perform better than a "RAID 0" 2 HDDs arrangement. *The weight of flash memory and the circuit board material are very light compared to HDDs. There are tons of benchs floating around the web, and it isn't my intention to cover this subjet too much, so if you are interested, check out the numbers by yourself. Before the install instructions, a simple rule for everyone going for this upgrade. Upgrading to an SSD will requiere a few windows tweaks and some things need to be disabled, so no image backups or restores will work, or if they do, your new SSD won't deliver as much as it could. 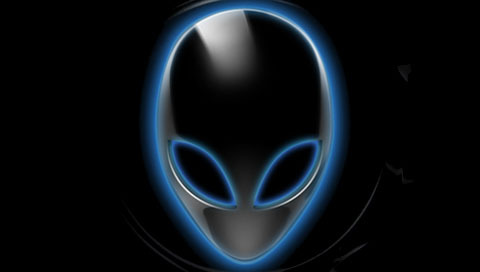 In alienware machines Alien Respawn DVDs won't work either since it won't let you restore your system in smaller drives. Just copy all your important data to an external drive, dvds or the method you prefer. 1.-Install SSD in place of HD that came with computer. For Alienware laptop users it's just a few screws removal and you are done. Place your new SSD the same way your old HDD was. In some cases you'll need to re-use an adapter connected to your old HDD. 2.-Enter BIOS SETUP. There you'll need to choose between RAID or AHCI for the mode. Select RAID in first place, if you start experiencing issues (like BSOD) then swap to AHCI. 3.-Power Off to make sure the BIOS change took effect. 4.-Reboot with Windows 7 install disc or your custom WIN 7 install pendrive. 5.-Delete any existing partitions if they exist on your SSD. When all are deleted, then select the disk you want to use and click "Next". Description: Eliminate writing memory to the SSD, free over 2GB of disk space. Warning - If you run out of memory the program you're using will crash. g)Reboot. Then double check to see if only about 9GB is used in your SSD. If you are using more than this, then you probably didn't disable hibernate or move your pagefile off the SSD. 8.- Do Windows Update now and make sure you check repeatedly until all updates are installed. This will install .NET 4.0 which is required for Alienware Command Center.